What’s better than chocolate for breakfast? Gooey rich double chocolate filled “brownie batter.” Oh, I haven’t even mentioned the best part…this is a healthy breakfast! This brownie batter chia pudding is filled with chia seeds, and oats to keep you energized for whatever your day throws at you. I’m not kidding you when I say eating a cup of this is reminiscent of liking out a bowl of brownie batter until its clean. (Does anyone else do this when you make brownies?) Unfortunately, polishing off a bowl of brownie batter before they even make it into the oven is not so healthy for you. 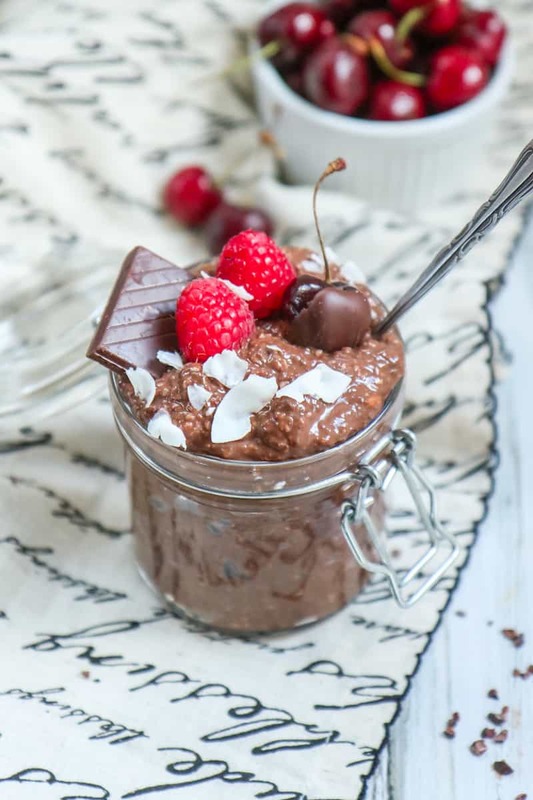 So I try to stick to this brownie batter chia pudding recipe when those cravings strike! 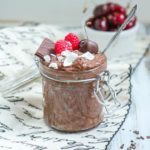 I like to serve this brownie batter chia pudding in a cup with fresh fruit, or pack it up in a mason jar layered with raspberries or bananas. If I serve it up for dessert than it’s great with a dollop of whipped coconut cream,and grated chocolate on top! Alright, let’s dive into this gooey goodness! In a bowl, mix your chia seeds and almond milk together. Set aside and allow to gel for a least an hour, or overnight if you wish. It should be a thick pudding-like texture. 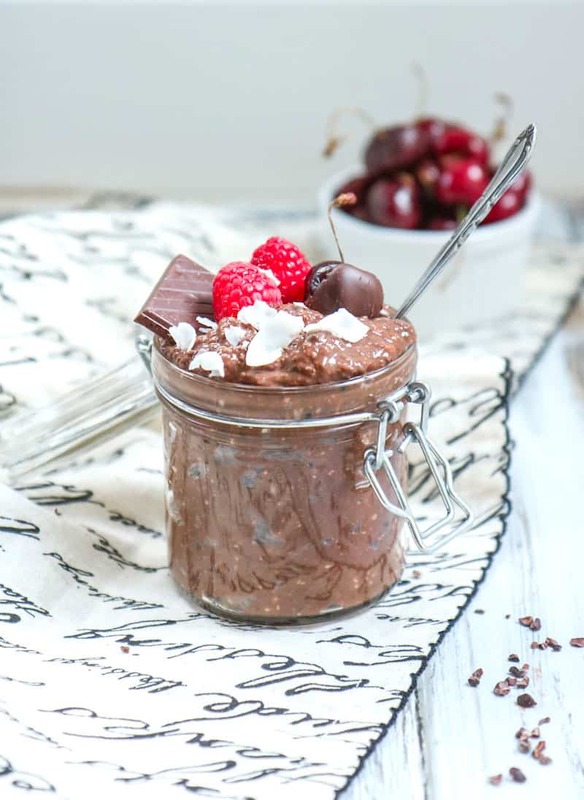 Place you chia pudding mixture into a food processor with your oats, cocoa powder, dates, vanilla, and salt. Pulse together for about 60 seconds, until ingredients are all mixed. Remove from food processor and add you cacao nibs. Store in a mason jar or tupperwear in the fridge for up to 1 week. This is absolutely delicious! 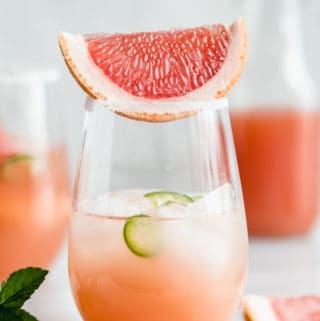 It hits the spot when you want something sweet, but great for you as well! Thank you for your genius culmination of healthy ingredients for this decadent pudding. Thank you! It’s a great treat that feels like your eating something decedent, but really its healthy! Hope you enjoy it!